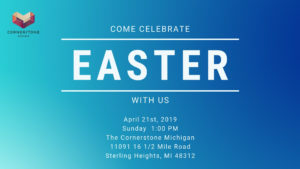 Come celebrate Easter with us at The Cornerstone Michigan. Free Easter basket for all registered children under the age of 12! Register your child below, today!